Improve your marketing response rate through a direct mail program. 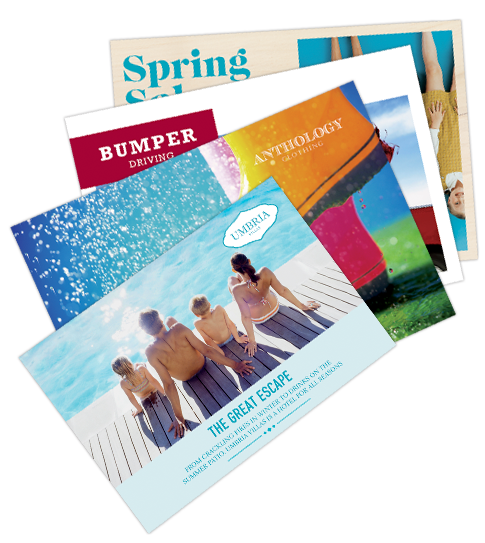 The $56 billion dollar direct mail and catalog business generates $700 billion in sales. * Printed direct mail is still one of the most cost effective marketing options. With a well-designed mailer, top quality printing, and a targeted database, your company can put it's marketing efforts directly in front of your intended recipient. Regardless of size, quantity, or complexity, Minute Print Inc. can handle all you projects in a timely manner. Our color digital equipment and commercial-grade software will minimize your postage expenses while maximizing your impact. You are eligible for pre-sort postal discounts with as few as 200 pieces!